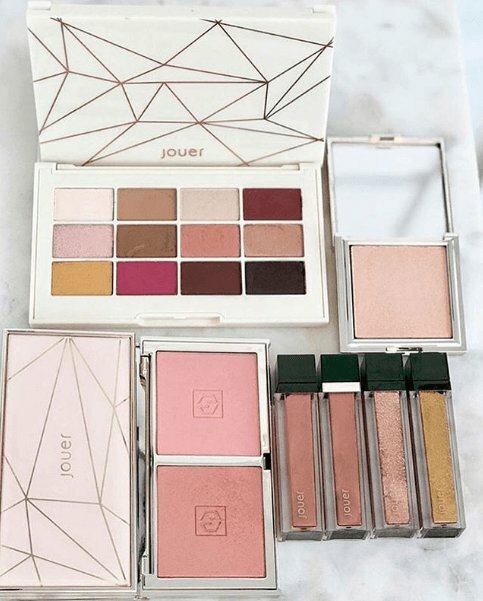 Jouer Cosmetics is launching their new Rose Gold Collection on Tuesday, 8.28! This is a biiggg collection so lets get right into what’s included: Matte & Shimmer Eyeshadow palette ($40) with 12 shades in different finishes & it includes a mirror, Blush Bouquet Dual Blush Palette ($30), Rose Gold Highlighter ($24), Rose Gold Creme Eyeshadow Crayon ($18), Rose Gold High Pigment Pearl Lip Gloss ($17), Molten Gold Lip Topper ($16), Rose Gold Lip Topper ($16), & finally the Rose Gold Lip Creme ($18). The whole collection will be made available at Sephora on 9/11. Soooooooo, is it just me or is this collection a little bit late to the game? I mean, I think rose gold is GORGEOUS and definitely a classic shade that most of us absolutely ADORE! But didn’t the big rose gold trend kind of come and go a little while ago? Not that we aren’t still obsessed but it’s not all the age anymore… right?? Not that we care – this collection is stunning either way! We were just surprised when we saw this launch. But we are so excited for it nonetheless! Mostly, we have our eye on the Blush Palette – yes, we said the blush palette, not the eyeshadow palette! Are you shocked?! So are we! 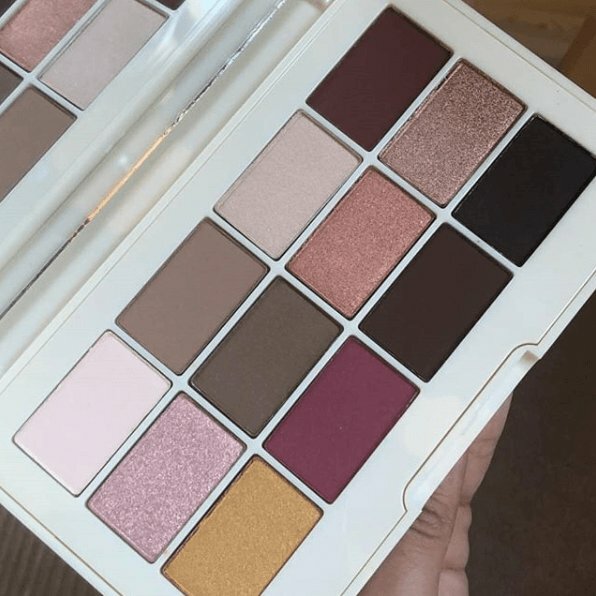 We are eyeshadow palette junkies, as you know, but this one hasn’t caught our eye quite as much as some of the other items in the collection, surprisingly. It’s just kind of been seen and done before, don’t you think? It almost gives me Milani Gilded Desires vibes! It’s definitely so pretty, but we just kind of don’t need it, ya know? The blushes on the other hand, WE NEED! We love the contrast of the cooler-toned pink and the warmer, shimmery peach. These are just our favorite blush shades and tones so this is just so up my ally! 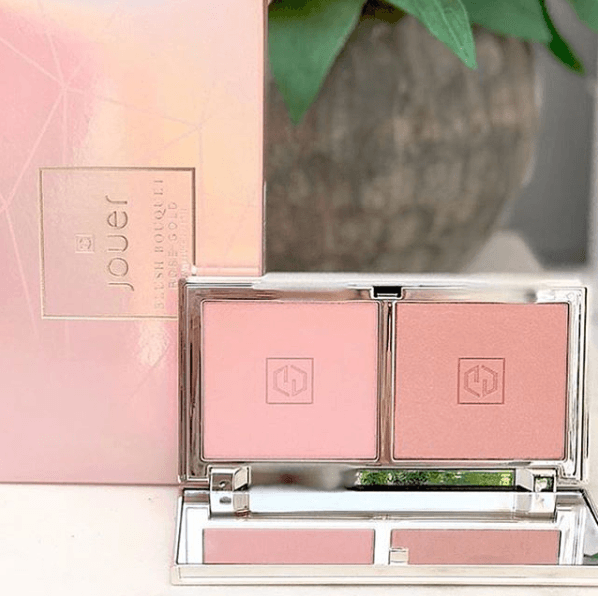 We haven’t tried much from Jouer quite yet but this might be something we need to get our hands on!